One of the oldest buildings in the Town with part of it being from the 15th century. 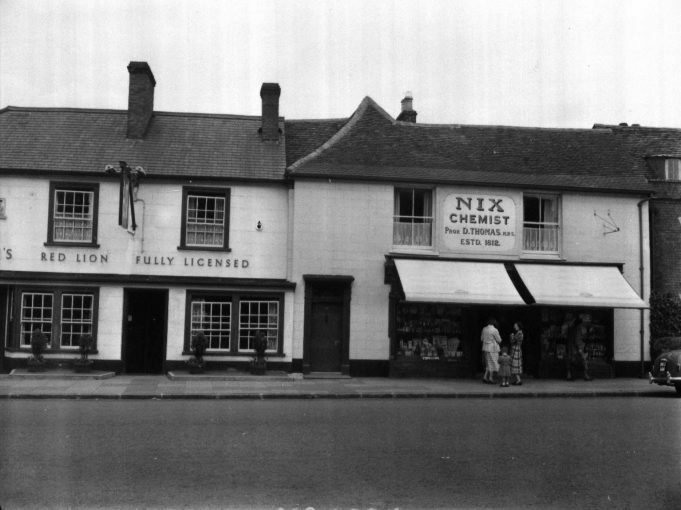 A tavern or inn called the Lion is recorded as being on this site in 1593 which makes it the oldest pub in Billericay and one of the oldest in the country. Originally a much larger premises, the building next door Nix’s containing the pharmacy is part of the same building and it is thought that the Lion could have extended to fill the entire frontage between Lion Lane and Holly Court.